I was feeling the need for a change in my living room. Do you get that urge? Every time the seasons change I get the pull to redecorate a bit. It just so happens that the fabric I got last week matches my living room and so I decided to whip up a few new pillows. I haven’t finished them all, but here’s a sneak peek. 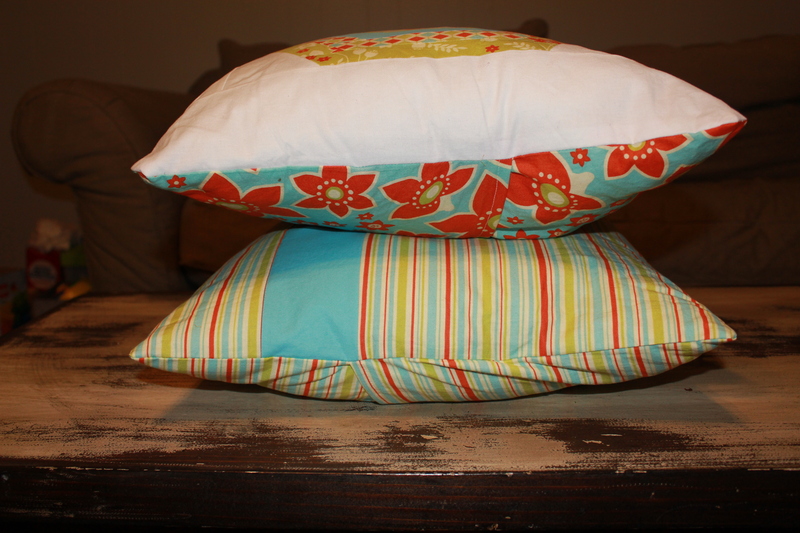 I wanted to make some simple, yet unique looking pillows. 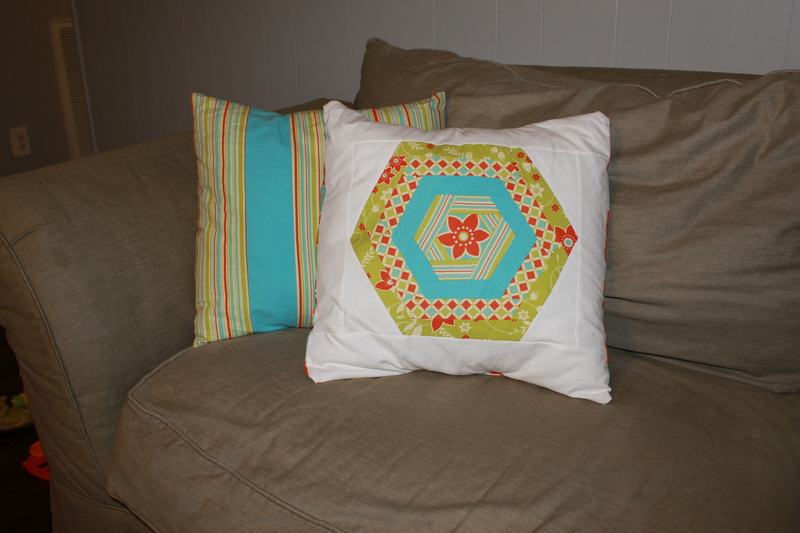 The hexagon one is based off a hexagon block pattern I found on Pinterest. I just love Pinterest for some good crafty inspiration, don’t you? I did a simple, envelope style backing for all of the pillows. I decided to try my hand at piping for this third pillow. I definitely have more to learn in that area, but I’m pretty happy at how it turned out. This last pillow is not put together yet. 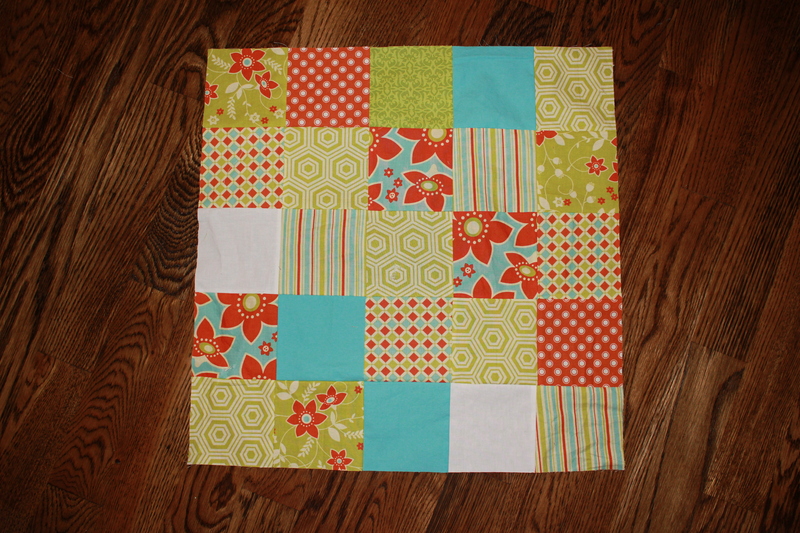 I was thinking of quilting it, but I may go the easy route and slap an envelope backing on it. We’ll see where the mood strikes tomorrow. 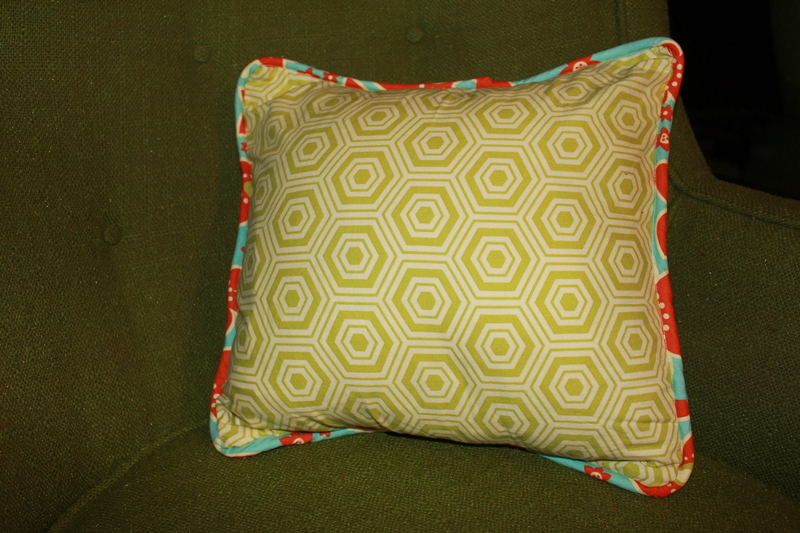 The best part of all of this new pillow sewing is that I used materials from my stash. Yay for slowly building up my stash to a state where I can do this! I’ll be back tomorrow to show you a baby gift I made for a friend’s baby shower tonight. This entry was posted in For the home by oliver's fancy. Bookmark the permalink.